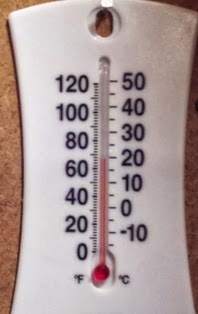 Coffee cup in hand, I opened the garage door this morning to remove my wife's car from the "Shipping Department" of BigCuttingBoards.com and was greeted with the slightest chill in the air. Instantly, I could smell the cool, damp woods and feel that distinct, serene quiet that one experiences when in the deer-woods, just listening to the forest wake up. Yes ladies and gentlemen, hunting season is almost here!!! As am aside, I should have my head examined for starting a business that significantly ramps up its activity just as hunting season starts. Mornings were designed for hunting, not shipping and receiving. 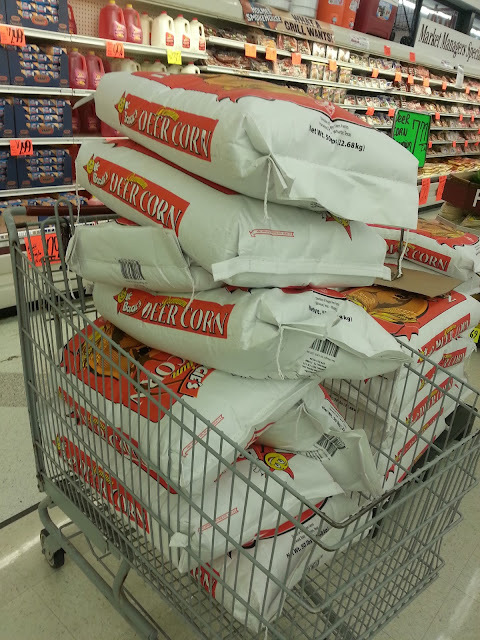 Lessons from the Field: It is very hard to push 400lbs of deer corn through a grocery store without (i) being noticed, (ii) breaking a wheel on the cart or (iii) having a cornalanche as you try to negotiate the checkout stand. I recently read an article about the economic benefits of the super-duper, high-end coolers (ice chests) like those made by Yeti. A great amount of effort was made of the "savings" you'll see by not having to purchase ice as often and "how they'll soon pay for themselves" after just a few trips. Really...? Tell me if I purchase one of these fancy-pants, high-end coolers that I'll (i) look taller and have more youthful skin, (ii) will become irresistible to my wife or (iii) I'll be a better hunter but don't blow smoke up my lower orifice by telling me it will pay for itself with "ice savings". Does anyone really believe this hype? I guess I need to share a dirty little secret with folks. These coolers do not make ice or alter the atmosphere & climate making the need for ice obsolete. You still have to buy ice. Even if it does last longer, this doesn't matter a hill of beans in 98.7% of hunting situations. Bob, Chris and Kevin go deer hunting in Texas over a 3 day weekend. 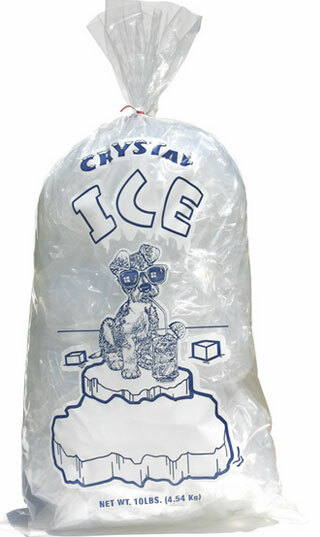 They buy two (2), 20 pound bags of ice @ $1.50 / bag. They keep the ice in a $50 plain-Jane Igloo cooler and it lasts the weekend to keep food and drinks cold and to ice down one dead deer. Bruce, Sven and Rafael, besides having really metrosexual sounding names, decide to go hunting and truffle collecting over the same weekends but with their $429, impact-resistant, bear-resistant, roto-milled, roto-tilled, high-end cooler. Neither group ever goes musk ox hunting or encounters a grizzly and both coolers last their lifetimes. Well THAT doesn't seem like such a good deal now, does it? Perhaps it makes more sense with a week long hunt. Let's see.... our intrepid hunters are off the grid for 9 days (2 days in the truck, 5 days chasing elk and 2 days back). They take 80 pounds of ice ($6 worth) with them (most of which is bought in the last "real" town they pass through 1.5 days into their little adventure). Like most hunts of this type, it is cool to down right bone chilling cold most of the time and because they are not stupid, they put the cooler in the shade. The guys with the el-cheapo Igloo have to buy more ice on the way home since they killed a monster elk. 80 more pounds gives them a total expenditure for ice on the trip of ~$12. The guys with the Yeti cooler (ignoring the fact they'll need several of these coolers since an elk is bigger than a rabbit) still have some ice left after they leave the mountain with their dead elk, only need to buy 40 more pounds at $1.50/bag. Total ice expenditures for this group is $9. Assuming our groups of hunters can only go on one such road trip a year, how many years would it take for them to "practically pay for the cooler with ice savings"? $375 / $3 (annual savings) = 125 years. So, unless you plan on hunting until you are 140 years old or leaving your cooler to your grand kids in your will, you might want to spend the extra $375 on something that might help you actually put something in the cooler like a better scope.... or binoculars... or an old rifle with character... and less on a plastic, roto-milled status symbol. We have two dogs. Both were "adopted" street-urchin mutts. One is good; the other is awful. Dixie, has been highlighted on A Man in the Woods a few times. She lacks long-term planning skills and inter-species respect but is otherwise normal. 45lbs, black, long tail, 4 legs, smart, loyal, generally trained and trainable. Zac is 9 pounds of useless. His most redeeming qualities are (i) he does not smell as much as he used to, (ii) he has the sphincter of a Rottweiler and (iii) he has 3 legs. Having been born with 3 legs, he does not know he is handicapped and should otherwise be compromised in his movements and abilities. Zac is also an escape artist. An untrained, untrainable escape artist. Our backyard has a metal, iron fence with 9lb dog-sized spaces between the vertical bars. When life was good and complete and we only had Dixie, this was not a problem. She could run around, bark, look through he fence and would rarely escape to run the neighborhood, terrorizing squirrels. Then we got Zac, much against my better judgement. At first, he respected the intent of the fence but soon learned that he could literally walk under or between the bars to annoy the neighbor's dogs and me while he frolicked in patches of poison ivy. Options were suggested to prevent this. "Puppy bars" would be expensive and take a long time to install. A "chicken wire" solution was suggested. Besides generally looking like crap, it too would take too long to install and to be candid, there are 243 other activities I'd rather be doing than installing a fence I don't want for a dog I did not want in the Texas summer heat with the Houston mosquitoes. Ditto for invisible fences and installation of a complex design of miniature landmines, tripwires and trenches. No, it was time to bring the mountain to Mohamed/Mohammad/Muhammad. 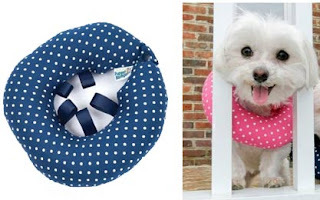 After ruling out a tethered bowling ball or boat anchor-based solution, a collar seemed like the best approach. Plus, it lent itself to the "the best solution is often the simplest, yet entertaining solution" approach. Since this project was of growing family importance, I set aside a budget of $0.17 and promised to commit at least 3 minutes to solving the problem. Using a unique combination of garage engineering / white trash design skills and common household items, the prototype device was built and tested. Ladies and Gentlemen..... behold...... The Dog Bar. I'm still contemplating quitting may day job and manufacturing these full time. I'm very excited about the margins involved since it is not everyday you can manufacture a product, IN THE UNITED STATES NO DOUBT, with gross margins of 99.75%. Until they are commercially available, I am willing to share with the world my proprietary design so you may build your own. 1 (one) tight fitting collar. 1. Tape cardboard tube to collar. 2. 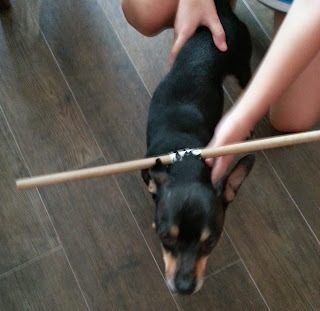 Affix contraption to bad little dog. 3. Release combination into the backyard. 4. Return inside for a relaxing cup of coffee. 5. Smile while inside, you are laughing, as the bad little dog attempts to penetrate the fence, only to have to pee inside his own yard. A Man in the Woods who is not in his backyard putting up a fence for a dog he did not really want but who has, unintentionally, become part of his life and who likes to sit next to him as he reads articles about taking a safari in Africa.